The 700+ hedge funds and money managers tracked by Insider Monkey have already compiled and submitted their 13F filings for the fourth quarter, which unveil their equity positions as of December 31. We went through these filings, fixed typos and other more significant errors and identified the changes in hedge fund positions. Our extensive review of these public filings is finally over, so this article is set to reveal the smart money sentiment towards Waste Connections, Inc. (NYSE:WCN). Is Waste Connections, Inc. (NYSE:WCN) the right pick for your portfolio? The best stock pickers are getting less optimistic. The number of bullish hedge fund positions fell by 2 recently. 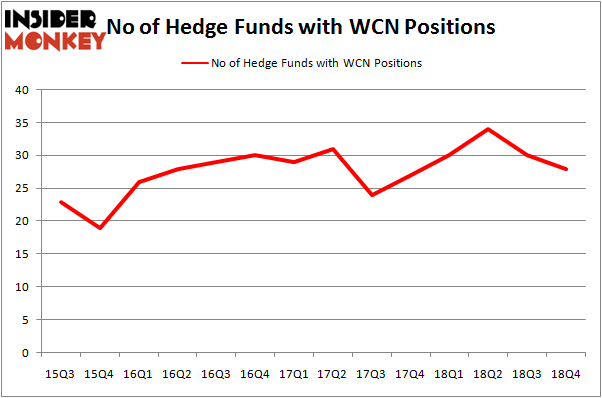 Our calculations also showed that WCN isn’t among the 30 most popular stocks among hedge funds. We’re going to take a glance at the fresh hedge fund action encompassing Waste Connections, Inc. (NYSE:WCN). How have hedgies been trading Waste Connections, Inc. (NYSE:WCN)? At the end of the fourth quarter, a total of 28 of the hedge funds tracked by Insider Monkey were bullish on this stock, a change of -7% from the second quarter of 2018. Below, you can check out the change in hedge fund sentiment towards WCN over the last 14 quarters. So, let’s examine which hedge funds were among the top holders of the stock and which hedge funds were making big moves. More specifically, Renaissance Technologies was the largest shareholder of Waste Connections, Inc. (NYSE:WCN), with a stake worth $195.1 million reported as of the end of September. Trailing Renaissance Technologies was Maverick Capital, which amassed a stake valued at $157.9 million. Echo Street Capital Management, Millennium Management, and Samlyn Capital were also very fond of the stock, giving the stock large weights in their portfolios. Due to the fact that Waste Connections, Inc. (NYSE:WCN) has faced declining sentiment from hedge fund managers, it’s safe to say that there was a specific group of hedgies that elected to cut their positions entirely heading into Q3. Interestingly, Malcolm Fairbairn’s Ascend Capital dumped the largest position of the “upper crust” of funds watched by Insider Monkey, totaling about $85.4 million in stock. Andrew Sandler’s fund, Sandler Capital Management, also said goodbye to its stock, about $30.9 million worth. These transactions are important to note, as total hedge fund interest fell by 2 funds heading into Q3. Let’s also examine hedge fund activity in other stocks similar to Waste Connections, Inc. (NYSE:WCN). These stocks are Tyson Foods, Inc. (NYSE:TSN), FirstEnergy Corp. (NYSE:FE), Korea Electric Power Corporation (NYSE:KEP), and IHS Markit Ltd. (NASDAQ:INFO). All of these stocks’ market caps are similar to WCN’s market cap. As you can see these stocks had an average of 28.25 hedge funds with bullish positions and the average amount invested in these stocks was $1561 million. That figure was $677 million in WCN’s case. FirstEnergy Corp. (NYSE:FE) is the most popular stock in this table. On the other hand Korea Electric Power Corporation (NYSE:KEP) is the least popular one with only 9 bullish hedge fund positions. 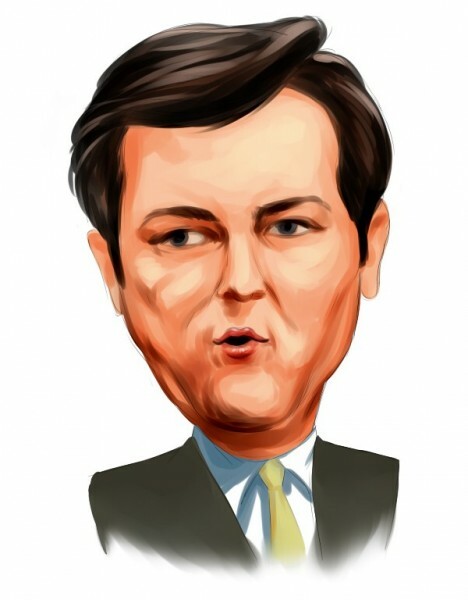 Waste Connections, Inc. (NYSE:WCN) is not the least popular stock in this group but hedge fund interest is still below average. Our calculations showed that top 15 most popular stocks among hedge funds returned 19.7% through March 15th and outperformed the S&P 500 ETF (SPY) by 6.6 percentage points. Hedge funds were also right about betting on WCN, though not to the same extent, as the stock returned 14% and outperformed the market as well.